One of the older, more traditional-looking ski resorts, Myoko Kogen is a great ski park and holds some powder secrets which are too good to miss. Myoko is famed throughout Japan, and the world, for its incredibly high and heavy snowfall; often receiving up to 14m of snow on average, every season. In 1946 the area measured a record-breaking 210cm snowfall across a 24 hour time period and as of June 2015, is located within the newly certified Myoko Togaku-Shi Mountain Range National Park. Made up of 4 linked resorts (Myoko Suginohara, Ikenotaira Onsen, Akakura Kanko and Akakura Onsen), it offers long groomed runs and plenty of off-piske opportunities. Family-friendliness is maintained with plenty of gentle slopes for children and beginners. Powder and backcountry guides and tours can be taken, and allow access to one of Myoko’s best kept secrets, Seki Onsen Resort; uncrowded, and with complete ski freedom allowed, the snow is your oyster at Seki Onsen. Founded in 1930, Myoko is seeping with rich culture and history. While relatively old, Myoko makes a very cultural experience possible, with its uniquely Japanese atmosphere. Despite the feel of the resort, Myoko caters well for international visitors with many English speaking staff who are happy to help you when needed. Myoko Kogen is located 270 km northwest of Tokyo in Niigata Prefecture. It lies in the middle of Joshinetsu National Park, surrounded by the 2,454 metre high Mt. Myoko. There are several ways to get to Myoko from Tokyo. Shuttle buses depart from both Narita and Haneda airports straight to Myoko. Take the Hokuriku Shinkansen from Tokyo to Nagano (1 hour 40 minutes) then either transfer to the local Kita-Shinano train line to Myoko Kogen Station (approx. 40 minutes) or take a shuttle bus. It is also possible to get there from Iiyama Station on the same Hokuriku Shinkansen (1 hour 50 minutes) and then travel by taxi or shuttle bus, which takes about 30 minutes. Accommodation/ Resort areas are around 10 minutes from Myoko Station. Myoko is also accessible from a number of different airports, including nearby Toyama and Matsumoto airports. Transport from airports or alternative modes of transfer from Nagano Station to the resort can be organised. There is shuttle service that runs inside the town, stopping most of the ski resorts. These include Akakura Onsen, Akakura Kanko, Ikenotaira Onsen and Myoko Suginohara. If you want to go to travel to Seki Onsen you will take have to take a taxi as there are no public transport options (about half an hour from Akakura Onsen). 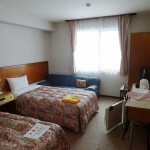 Guided tours which travel to Seki Onsen are also available in the area. Shuttle transport between Shiga, Myoko, Nozawa Onsen and Hakuba is frequent and well-managed. Madarao Ski Resort is also close by. Organised transport to nearby ski resorts are available at your convenience, so please contact us with your plans or queries. Myoko is a town in the valley along Myoko Kogen station, but many tourists prefer to stay in the many ski villages at the base of ski resorts. All the main resorts of Myoko (Suginohara, Ikenotaira, Akakura Kanko and Akakura Onsen) have individual villages; however Akakura Onsen is the largest and most famous village people opt to stay at, due to its easy access to main ski resorts and the number of restaurants and bars. Accommodation tends to be older and smaller, however locals are notably very friendly, which will always be the icing on top of a good holiday. A recommended activity is to take a soak in the Onsen which ranges from hotel based Onsens to special outdoor springs, surrounded by forests. The village has some small restaurants and bars to enjoy the nightlife, however compared to other places such as Nozawa and Hakuba resort it is somewhat on the quiet side. Myoko Snowsports (based in Akakura Onsen), offers off-piste tour and general guide options but most enticing are their multi resort powder programs which are perfect for any powder hound. If you’re looking to make the most of Myoko, its worth checking out. All resorts have ski and snowboard rental facilities available. Some hotels in that area will also rent out snowboard and ski equipment. 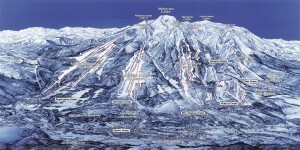 Every major ski resort in Myoko has at least one ski and snowboard school. Most schools will offer lessons in English, however some do not, so if pays to check if this is the case if you plan on engaging with the schools at the resorts. Lessons are provided for both children and adults, as well as in groups and in private. Some providers have powder and off-piste lessons on offer. Each resort will has its own individual child care service and facilities, as do many of the hotels and accommodation facilities in the area. However English-speaking staff will vary but are usually available as most hotels have overseas staff working. Every ski resort has a variety of eateries for lunch both on and off the slopes. Akakura Onsen village has a number of restaurants and bars most of which are very cheap, especially compared to other Japanese resorts. Most restaurants at Myoko Kogen do not accept credit cards but there are ATMs avaliable. There is one located at the post office and another the 7-Eleven in Myoko town. 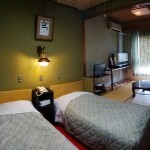 Oyado Furuya is pleased to provide our guests with a uniquely Japanese stay in Myoko (“Oyado” basically means a Japanese-style inn). 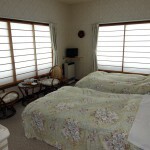 The Hotel Alp in Myoko is the ideal choice for a vacation in the heart of Snow Country Japan. Guests literally step out the door to start skiing; at the end of the day, they can slide right up to the front door! Akakura Hotel is a well known Akakura ski hotel in the very heart of Akakura Onsen Ski Village. It is only a four minute walk to the Akakura Onsen lifts from Akakura Hotel Myoko. 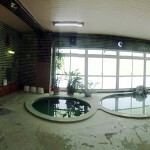 There are refreshing 100% natural hot springs (Uen-no-yu) to relax in equipped with an open-air bath, sauna and jacuzzi. 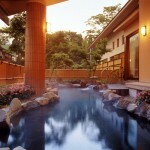 The Akakura Onsen, one of the Japanese famous hot spring resorts, has been popular for a long time. The Akakura Central Hotel is located in the heart of the resort, allowing our guests to enjoy our fresh, non-recycled hot springs to their hearts’ content. 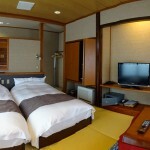 The Akakura Park Hotel is a well known Akakura ski hotel in the very heart of Akakura Onsen Ski Village. The exterior reminds you of a Swiss Mountain Chalet, while the interior lets you know you are well and truly in Japan. 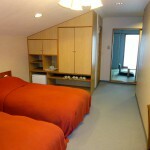 The Akakura hotel Annex is the ideal place for a stay in the beautiful resort of Myoko. The hotel is in the heart of the Akakura area, home to hotels, restaurants and shops and just seconds on foot from the Akakura Onsen Ski Area. is particularly good for skin conditions,stomach problems and rheumatism. Powder Ski Japan - 2019 all rights reserved.